As we all know by now, leaving the European Union is not as easy as the British people thought. Some people claim it’s a bit like getting the egg out of a baked cake. They’re obviously struggling with that, and it seems like they might stay for a bit longer than they expected. The EU is willing to give them time, but only if the UK will hold their EP elections as well in May. This seems more and more unavoidable. The government had to start the preparations for these elections, so it seems reasonable to pay more attention to the potential candidates. 22Bet Sportsbook believes that Jeremy Corbyn’s party is the favorite to get the most votes on the EP elections. It’s not a surprise at all. YouGov claims that the Labour Party is the most popular one at the moment, 14% of the voters would support them on the upcoming elections. That’s still a relatively low number though and the other parties are very close. Plus, their odds are not really convincing for us – we’re not going to risk 10 pounds to win a fiver. If you bet on the EP Elections in the near future, we believe that the Brexit party is your best option. According to YouGov’s recent report, Nigel Farage’s “Brexit Club” has already convinced 9% of the voters. That’s pretty close to the Tories’ 10%, but more importantly, that’s the same amount of voters UKIP apparently has at the moment. Yes, both UKIP and the Brexit Party has convinced 9-9% of the voters. 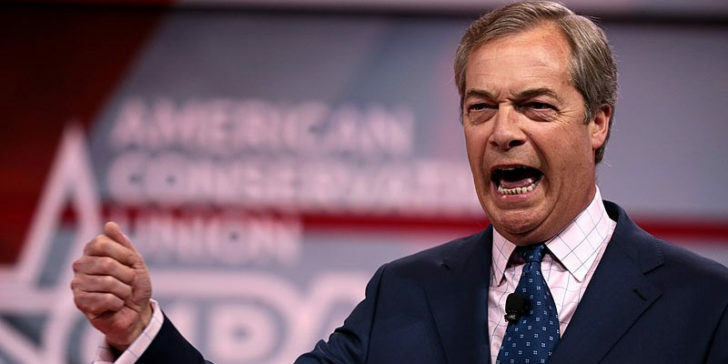 Therefore, if Farage could show the eurosceptic people of Britain that he’s their best and strongest alternative, he could get much more votes than he has now. This is why we believe that when you bet on the EP elections in the UK, the Brexit Party could be a good option. Also, 22Bet Sportsbook still has decent odds on Farage to succeed. From a gambling-perspective, we think you should hurry up and put some money on them until you get a good amount in return for your winning bet.